Political science because a diplomat’s job is a political job, one has to deal with people in politics, so I needed to be able to deal with that. HRM because the structure of management in our foreign office is of an administrative nature and I needed to be competent with terms of management synchronisation for my administrative duties. After a very tough competition I finally joined the Ministry of Foreign Affairs of Afghanistan (MoFAA). 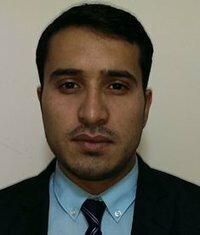 The first diplomatic training programme I joined was the United States’ and China’s bilateral diplomatic programme which was arranged for 15 young Afghan diplomats starting from 2012. I was selected as a team leader of the Afghan diplomats both in Beijing and Washington D.C. That was a very joyful and instructive programme for all the Afghan diplomats. My third diplomatic programme was the one hosted by Germany, which my colleagues and I foundto be very useful and most interesting. It was quite an experience to spend 40 days in Germany. Apart from learning methods we had lots of sightseeing and instructive trips to Munich, Bonn, Brussels and Geneva. The most pleasant work memory I had was the simulation program in Freie University in Berlin, which was the exercise and work I have ever done, our simulation was about NATO & EU helping Afghanistan beyond 2014. The professional University students plus the Afghan diplomats we gather together and had two days conference. I was leading the role of delegation from Afghanistan and my job was to answer all the question of EU members about their current and post investments in Afghanistan plus I also had to request them to help Afghanistan beyond 2014. So I found it very interesting for me and I truly learned how to deal with such type of meetings and conferences. The alumni meeting is something that connects the diplomats once again and reminds us once about the fantastic diplomatic programs of Germans for international diplomats. Our program in Germany was only for Afghan Diplomats and it was the 13th round of the program, now those diplomats who have joined this program earlier will also be a part of this program which can make the environment even more delighted and I am pretty happy to see such gatherings with the German’s arrangement, which they have the best arrangements and coordination. The gathering of other countries diplomats in one place and let us all to meet each other, and to have more introduction is, itself my purpose of joining this alumni, plus I would be more delighted if the alumni includes some educational methods and sightseeing.